Heavenly Father had more children in heaven because otherwise he would not have had a family; is he still creating children? Does he have sons and daughters ruling by his side? Because Jesus was begotten and not made; how do the other sons fit into the picture? Sons and daughters must be there. He referred to Holy Spirit as a 'she'. If we are in His image than there must be a family unit. I have read about it in other passages; can you find or shed light on this matter? Also, what happened to Lility; is she still a demon? Some of your questions would be answered on a series of pages I have starting here. 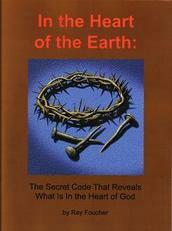 It discusses questions related to the sons of God including how we can become sons and daughters of God. Adam and Eve were created in God's image. Their children and everyone else down to and including us were not created directly by God but were begotten in the image of Adam and Eve. Unfortunately, that image was corrupted by their fall. "Lilith is a figure in Jewish mythology, developed earliest in the Babylonian Talmud" (Wikipedia)" It is non-Biblical, purely fictional and I would just ignore it. Stick to what the Bible says.